Dr. Min Tao joined the Caravan Health team as Senior Director of Clinical Analytics in August 2016. She received her PhD in Nutrition from Cornell University in 2005, with concentrations on Epidemiology, Biostatistics and Public Affairs. She received her postdoctoral training at Centers for Disease Control and Prevention, National Center for Health Statistics as an Epidemic Intelligence Service Fellow. 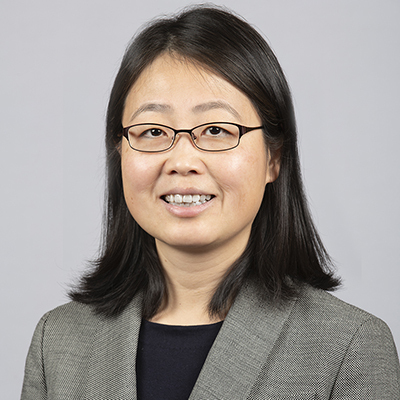 Prior to joining Caravan Health, Dr. Tao was the Director for Clinical Epidemiology and Biostatistics team at Blue Cross Blue Shield of Michigan. She led analytics work that support Physician Group Incentive Programs and Hospital Pay for Performance Programs, and had rich experiences with Population Health Management analytics. She supported both payer and provider delivered wellness and care management programs with analytic activities ranging from reporting and predictive modeling to program evaluation. The nation’s health care system is shifting away from traditional fee-for-service to new models that pay providers and hospitals for quality of care and improved health. Dr. Tao is passionate about using analytics to generate insights and identify opportunities for clinicians and facilities that embrace this transformation journey.